Jazz vocalist Angela Verbrugge will be releasing her debut album next month. It features a mix of originals and covers, beginning with the fun, swift pace of "I'm Running Late." Angela lets her stunning vocals soar on the title-song ballad "The Night We Couldn't Say Goodnight," before delivering a perfect rendition of Gershwin's "Love Walked In." Next, she takes on Duke Ellington's "All Too Soon" with flying colors as her voice is the perfect match for these classic jazz numbers. One of a few original songs written by Angela, is the playful rhythm of "You're Almost Perfect," while she breathes new life into the quick swing of "This Could Be The Start Of Something Big." Angela Verbrugge finishes her new album with the Latin melody of "Si Tu Pudierus Quereme (You And The Night And The Music)" and one of the other originals "How Did I Know This Was The End." To find out more about Angela Verbrugge and her latest release "The Night We Couldn't Say Goodbye," please visit angelasjazz.com. 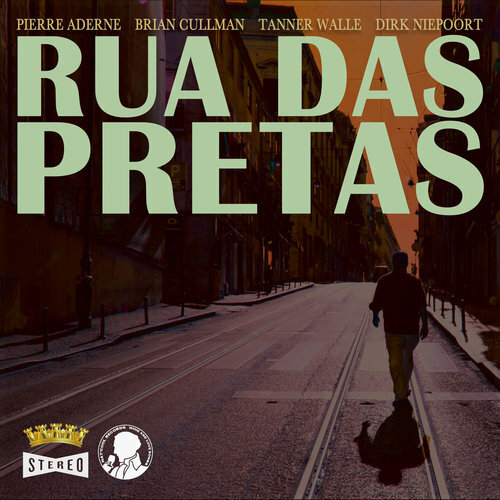 The band, Rua das Pretas is made up of Portuguse-based traveling musicians, who came together in the studio to create "The Wine Album." The band has been compared to the likes of The Rolling Thunder Revue or a sort-of Portuguese Buena Vista Social Club as many different musicians and singers create this amazing, worldly sound captured on this new recording. The album features eleven tracks, beginning with the Latin-flair, acoustic folk ballad "Fado Silencio" and the steady pace of "Fado A Boire," lead by the beautiful vocals of Gabrielle Hartmann. The album is a mix of English and Portuguese, as songs like "Home Before Dark" and "White Or Red" are easier to follow, but the songs sung in their native language are even more attractive to listen to. Rua das Pretas close out their new album with the elegant acoustics of "Vinho Velho" and the folk/pop tones of "Natural As Love." To find out more about Rua das Pretas and their latest release "The Wine Album," please visit ruadaspretas.com.